Internet giant Baidu is putting 25 percent of its R&D into mobile in response to the increase in phone-based Internet activity in China, where the number of mobile Web users passed 356 million in April. The rise of mobile is forcing a number of established Web companies to rethink their businesses, particularly in Asia where it is seen as becoming the primary Internet access point for the region. Bloomberg reports that Li told an audience at Stanford, where he gave a lecture, that the company’s mobile revenues have ‘at least’ tripled this year but still account for less than 10 percent of its total business. Baidu has been busy upping its mobile game across a number of areas and it has notably introduced a number of cloud-based services — including Google Drive competitor Wangpan and an iCloud-like service, to name but two — which are key components to its ROM add-on for Android. Named Baidu Cloud, the platform is not an Aliyun-style operating system in its own right (which should see it avoid the issues Alibaba had with Google) but instead an update that lays on Baidu services to provide a more locally-appealing Android system. Added to that, Baidu is increasing its backbone through the development of a new cloud computing center in a project that it says will cost $1.6 billion. That localized, easily-implemented cloud system is the carrot that Baidu is dangling for device makers — it claims to be talking to more than 20 — and in return the company would see greater activity on its services and, with that, new monetisation opportunities. Outside of its own efforts, the company’s services have been integrated into Apple’s iOS 6, alongside other Chinese sites like Sina Weibo, and that will likely also provide another nice push forward. 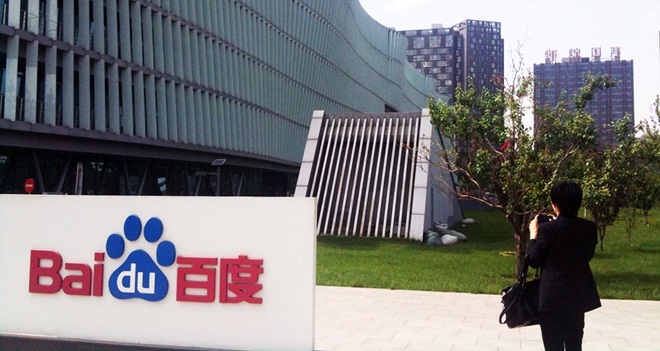 Baidu has also moved into other areas this year. It released a speedy Android browser, using its own T5 engine and its core search proposition got a boost when it linked up with Sina to bring content to those who use the search giant’s services from a mobile device. Furthermore, this summer, Japanese carrier DoCoMo — an experienced hand in the mobile content space — completed its $22.5 million investment their joint mobile content offering, Baidu Yi Xin. That partnership will provide further impetus, and it already signed up games giant DeNA, although it is not clear what effect recent tension between Japan and China will have. In addition to big name tie-ins, Baidu has spoken of its intention to look into acquisition possibilities that will help accelerate its focus on mobile, such is the focus on taking its Web dominance into the smartphone and tablet space. Yet despite progress in a number of areas with some big name companies, Li is adamant that the recipe for success on mobile is still to be defined.